Qualified London (British School of Osteopathy) 1992. 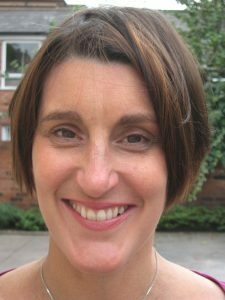 Justine Knowles was brought up in Solihull and attended the British School of Osteopathy in London, graduating with a Bachelor of Sciences degree in Osteopathy in 1992. She worked as Clinic Superintendent of the Birmingham and District Osteopathic Clinic until 1996 before becoming self-employed. She set up in practice in Selly Oak, Birmingham in 2000 and has worked part-time at Sixways Clinic since 1997. Justine’s own website is www.oakville-osteopathy.co.uk She enjoys the variety of general practice and has a particular interest in treating older patients. She mainly uses traditional osteopathic methods of massage, stretching and manipulation and also uses dry needling acupuncture for some patients. She continues to participate in post-graduate education and training and is always keen to keep her skills and knowledge up to date. In her spare time Justine enjoys playing piano and mandolin, gardening and doing voluntary work for Oxfam and is a reluctant but regular gym-goer.